Moving out is not as simple as just finding a new home, packing your things, and driving away. 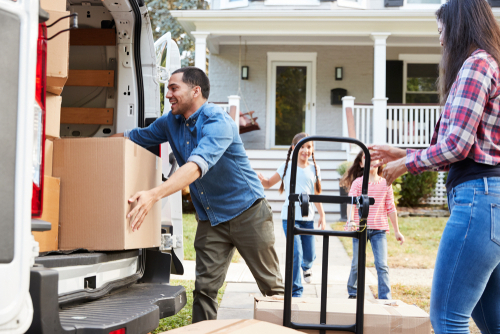 If you have decided to move out of your current home, there are some logistics and tasks that need to be done and taken care of before doing so. If you are unsure about anything in the process, you’ll want to talk to a real estate agent to get advice on how to ease or speed up the process and what mistakes you should avoid. Look at the following items as some of the things to keep in mind or to be on top of so that you can make the moving process a lot smoother and a lot less stressful for yourself. Keep in mind the mentality that you would have when looking into potential future homes if you were the next buyer of this home. This is easy to overlook when you are focusing only on how to pack your belongings and move it all out. Think about all the dust and dirt that has accumulated in the corners and cracks of your home that you don’t access often or even during the packing process of moving all your belongings around. Just keep a mop and broom around to do some simple tidying and cleaning up. Keep in mind that as you are leaving your current home, another homebuyer will shortly be moving in. Leave the home as it was when your first moved in or as you would like to see it if you were the next homeowner. 2. Change your address early and also leave your new address behind. When you are certain about moving out and have already signed for a new home to seal the deal, make sure to start changing your current address to your new address for all your bank accounts, subscriptions, and more to avoid the trouble of not receiving your mail at your new address. And to be safe, also leave your new address behind for the future owner of your current home so that they know where to redirect the mail that was sent to your old address. This is especially important if you have any bills to pay off that come in through the mail. Moving out of a home and into a new home means that you will need to cancel or change many things in regards to insurance, utilities, and subscriptions. When beginning insurance coverage on your new home, remember to either cancel the insurance coverage of your old home or check if the insurance company has already done that for you. Keep in mind that some insurance companies may not automatically do that for you. When moving out of your old home, make sure to let your utility company know the date to discontinue their services at the old address and also the address for where to forward your last utility bill. Organize your moving boxes. The process of unpacking may take longer than you expect it to, so make sure to separate the items you will need within the first few days of moving in. This may include bedding, toiletries, and a few clothing items so that you can avoid the need to dig through all the boxes that you have yet to unpack and organize. Also, organize all the items in each box so you know which room the items are designated for in the new home. This will allow the unpacking process to be smoother and more organized. Knowing which items you would like in which room of your new home will help you organize and label the boxes. The fastest and smoothest way to move your belongings in the moving process is with less trips back and forth to the old and new home and also more helping hands. Imagine how much more time and effort it takes to move box after box from your old home to your new home with your own car. Compare that to all the boxes you can fit in a U-HAUL truck you can rent or even with a professional moving company that you can hire to move all your belongings with one trip and many helping hands. Hopefully these tips have allowed you to feel less stressed and nervous about the moving process. We know the process can seem difficult at first, so we want to help you! Feel free to contact us today so we can start helping you through this next step in your home buying journey.